SQL Server « The SQL Dude! I wanted to write this post for a long time. If any of you out there are using full-text indexes, especially on those tables what contains documents like Office Documents (doc/docx/xls/xlsx) or Adobe PDF files, then you might have come across scenarios when some of the documents (or) rows do not get indexed. Usually as an end-user or developer or DBA, you typically come across these situations when you do not find the document you are searching for in your website or application. A good example of this would be a Job Database like Naukri or Monster, where you search for candidate resume/profile based on a set of keywords containing skillset or languages known. For E.g. Lets say, my search string is “TSQL 4 years experience”. When you know there are documents that match this and they don’t show up in the search results, that’s when you start to look into the full-text index and its population. A thumb rule in FTS; A row in table is called as a document (DocID) in a full-text index. Any properties for the full-text index in SSMS or anywhere else, always refers to rows as documents. Like Documents processed, Documents indexed, Documents failed etc. Just keep this in mind. Even if you have just text data (varchar/char etc), the row is still called a document. The role of this DocumentID/DocID is to map a full-text key value in the full-text index to the corresponding row in the base table. A full-text key value is in varbinary(900) format. So for us to find the corresponding row, we need to convert the hex string to the native format of your full-text key. 1. Assume I have a table called dbo.tblCandidateProfiles that has a primary key on the candidate_id column which is of INT data-type. 2. I have a full-text index created on this table to search columns like candidate_name, candidate_resume etc. 3. Now, when you create a full-text index, you will get an option in SSMS GUI to choose the full-text Key Column (TableFulltextKeyColumn). Many people don’t pay close attention to this column, because the GUI usually picks the PK Index or any Unique Index present on the base table. The reason this is important is because, SQL Server uses the KEY INDEX (of which the KEY COLUMN is a part) to uniquely identify a row in the base table, for full-text index operations. So if any document/row succeeds or fails to get indexed, it can be uniquely identified using the full-text index key value (which is based on the Key Index chosen during the creation of the FTIndex). My table above has a PK on the candidate_ID column which is an IDENTITY column, so it is of type INT. I create the following full-text catalog and full-text index using the PK_CandidateProfiles as my KEY INDEX. Okay, now that things are setup we can go ahead and insert a single document into this table. As you can see in the above output, the document was successfully indexed and hence we are getting search results. If you happen to look into the SQLFT logs, which by the way are in the format SQLFT<dbid><catalog_id>.log, so in my case I looked into SQLFT0000800009.LOG, here is what I found for my 1 row that I inserted recently. 2012-07-06 01:21:26.14 spid38s Informational: Full-text Auto population completed for table or indexed view ‘[test].[dbo]. [tblCandidateProfiles]’ (table or indexed view ID ‘475148738’, database ID ‘8’). Number of documents processed: 1. Number of documents failed: 0. Number of documents that will be retried: 0. So far things are good. But what happens if certain document types (like .PDF) or certain documents don’t return you search results, because they failed to get indexed. 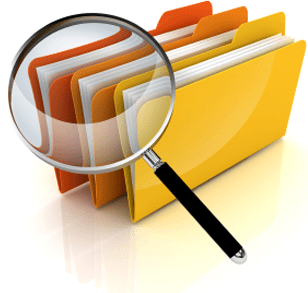 How do you find which document failed, if your table contained thousands of documents. Fear not, this is exactly where the full-text key values comes into the picture. Let me insert a junk document that I know will fail, into the same table mentioned above. I am taking a sample JPG Image file to show how this works, since there is no point in full-text indexing an image, because you can’t search inside an image. Duh! 2012-07-06 01:20:13.12 spid38s Warning: No appropriate filter was found during full-text index population for table or indexed view ‘[test].[dbo]. [tblCandidateProfiles]’ (table or indexed view ID ‘475148738’, database ID ‘8’), full-text key value ‘2’. Some columns of the row were not indexed. As you can see from the highlighted snippet above, that the 2nd row I inserted (junk JPG image) did NOT get indexed, since there was no Filter present for the JPG type. In the SQL FT Logs it will only give you the full-text key value which failed. In the above case, the key value = 2. Let’s look back to the original KEY INDEX that I had defined. Since it was an INT data type, the key value is also displayed as an INT value. To find the row/document, you just have to look-up the row with candidate_id=2 and you got the document that did not get indexed. Identifying documents that failed to get indexed (KEY INDEX is on column with CHARACTER data-type). I altered the table with 1 change. Dropped the identity column and changed the data-type for the Candidate_ID to varchar(50). This still remains the column on which the Primary Key index exists. Then, I re-created the full-text index on this table. 2012-07-06 01:51:21.36 spid33s Warning: No appropriate filter was found during full-text index population for table or indexed view ‘[test].[dbo]. [tblCandidateProfiles]’ (table or indexed view ID ‘875150163’, database ID ‘8’), full-text key value ‘FBD367D1-642F-47CF-B79B-9BE48FB34007’. Some columns of the row were not indexed. Notice the random GUID value reported as failed. That is the value of my candidate_ID and since this was my KEY INDEX it is also reporting the same value in the FTLOG as having failed. So I just need to lookup the base table for rows that have the value of candidate_id = FBD367D1-642F-47CF-B79B-9BE48FB34007, and I will get the document that failed to get indexed. Life is still good with character columns, since SQL Server reports the same value in the log. 2012-07-06 02:05:03.66 spid33s Error ‘0x8004170c: The document format is not recognized by the filter.’ occurred during full-text index population for table or indexed view ‘[test].[dbo]. [fts_table2]’ (table or indexed view ID ‘1083150904’, database ID ‘8’), full-text key value ‘33377ver3.ppt’. Failed to index the row. 2012-07-06 02:05:04.66 spid33s Informational: Full-text Auto population completed for table or indexed view ‘[test].[dbo]. [fts_table2]’ (table or indexed view ID ‘1083150904’, database ID ‘8’). Number of documents processed: 1. Number of documents failed: 1. Number of documents that will be retried: 0. Prior to SQL Server 2008, the full-text key value being reported in the SQLFT* logs would be in varbinary(900) format, so one you have to convert the value to make sense out of it. We still have to do this on SQL Server 2005. Here is how you would do it in SQL Server 2005. 2012-07-06 02:33:29.95 spid22s Error ‘0x8004170c: The document format is not recognized by the filter.’ occurred during full-text index population for table or indexed view ‘[test].[dbo]. [fts_table]’ (table or indexed view ID ‘2073058421’, database ID ‘5’), full-text key value 0x506F776572706F696E7446696C652E707074. Attempt will be made to reindex it. 2012-07-06 02:33:29.95 spid22s The component ‘offfilt.dll’ reported error while indexing. Component path ‘C:\WINDOWS\system32\offfilt.dll’. 2012-07-06 02:33:49.92 spid22s Warning: No appropriate filter was found during full-text index population for table or indexed view ‘[test].[dbo]. [fts_table]’ (table or indexed view ID ‘5’, database ID ‘2073058421’), full-text key value 0x496D61676546696C652E6A7067. Some columns of the row were not indexed. 2012-07-06 02:35:53.81 spid22s Error ‘0x8004170c: The document format is not recognized by the filter.’ occurred during full-text index population for table or indexed view ‘[test].[dbo]. [fts_table]’ (table or indexed view ID ‘2073058421’, database ID ‘5’), full-text key value 0x446F63756D656E7446696C652E646F63. Attempt will be made to reindex it. 2012-07-06 02:35:53.81 spid22s The component ‘offfilt.dll’ reported error while indexing. Component path ‘C:\WINDOWS\system32\offfilt.dll’. In the above example, how would you identify the rows in the base table based on these values in the SQLFT logs (0x506F776572706F696E7446696C652E707074, 0x496D61676546696C652E6A7067, 0x446F63756D656E7446696C652E646F63) ??? I mentioned earlier that the full-text key values are in varbinary(900) format, so lets convert these values depending on what the data-type of the key column is (which is part of the Key index). 2. 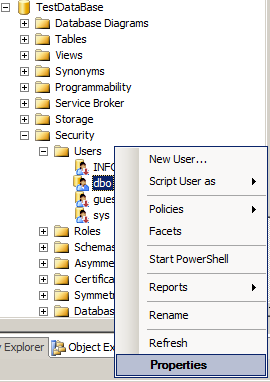 As you can see in the above output, the key column in on the column [docname] and it’s of type varchar(50). Before I show you the conversion part, here is the data in my table fts_table. 4. If you have a lot of these types of indexing errors, make a list of the full-text key values reported in the SQLFT logs and you can directly query the base table using a query like given below to identify ONLY THOSE ROWS that failed to get indexed. You can add anything combination of unique columns you want to the SELECT list, but the where clause must be filtered on the full-text Key column identified in Step #1, which is “docname” in this example. What Next, once you have identified the rows that failed to get full-text indexed? Do all the documents that failed have a common file-type. e.g. Did all .PDF or .DOCX files fail? Do these documents have the appropriate IFilters installed? e.g. Do we have a filter for .JPG present on the machine? Are all these failed documents from a single source/application? Is the source of all these documents a single computer/document library? The [key] column returned by this system stored procedure is the Converted full-text key value which you will see in the SQLFT* log. So now you know how to identify the rows/documents that failed to get indexed. In my next post on full-text, I will cover some of the common reasons for indexing failures and how to go about troubleshooting those. TTFN.